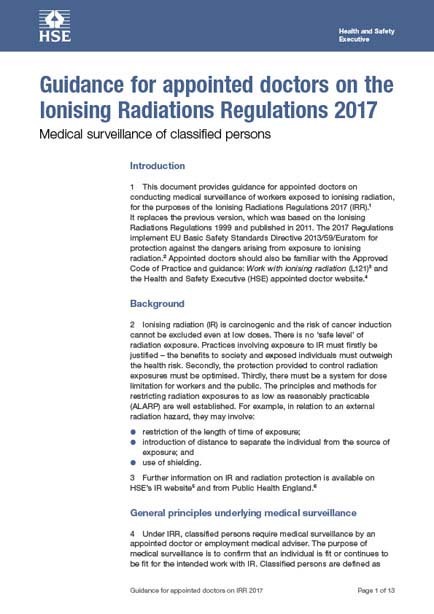 This guidance is for employers who have control of equipment used in connection with medical exposure to ionising radiation. This includes many NHS employers and private healthcare providers, medical x-ray services in industry, dentists, physiotherapists, osteopaths and chiropractors etc. It may also include companies involved in providing facilities under Private Finance Initiative Schemes (PFI). The guidance will be useful to radiation protection advisers (RPAs) who have been consulted by such employers.